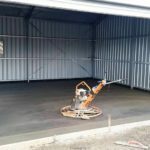 What are our clients saying about their experience with South Gippsland Concrete? 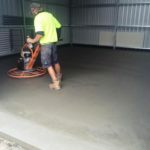 South Gippsland Concrete are proud to welcome satisfied clientele. Dear Megan, Just an email to say I am very happy with the job Kane and his helpers did on my driveway. 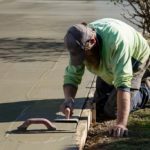 With my mobility problem the concrete driveway will be most helpful, and should I require any further concreting at a future date I will certainly be contacting South Gippsland Concrete – likewise, if I know of anyone who requires any concreting done I know who to recommend. We appreciated Kane’s attention to detail & professionalism. Kane & Megan’s communication from quote to slab completion was excellent. The job was done on time and exceeded our expectations. We will definitely use South Gippsland Concrete for future work. Many thanks. 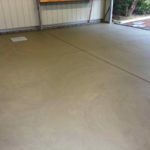 Recently I employed South Gippsland Concrete to lay a concrete slab in my shed. Their professional approach to the job was simple and without fuss. 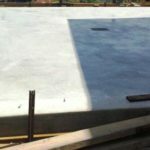 From preparing site to ordering materials, Kane took the time and extra care resulting in a finished floor to be proud of. I also got Kane back with his Lucas onsite timber mill, once again, Kanes approach was very professional and confident. The mill was awesome, he was able to mill up to 6 metres long resulting in some beautiful exposed cypress beams for my home. At the end of the day I highly recommend Kane of South Gippsland Concrete for concreting and timber milling. Professionalism, perfection and easy to deal with. This business exceeded expectations, great friendly communication and one of the best jobs I’ve seen to date! Thank you for your time, effort and caring attitude. 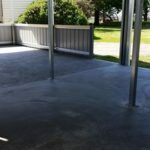 I would have no hesitation in recommending South Gippsland Concrete for any of your concreting needs. 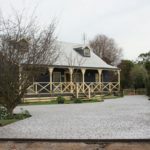 We are really happy with our dealings with South Gippsland Concrete. Reasonable price, showed up when they said they would, Kane and his crew did a great job. We would not hesitate to work with them again or recommend them to others. (Already our neighbours have come to look and gone away impressed. Happiness is a shed without a water feature running through it! I was very happy with the job done at our place in Fish Creek. Very professional. Thanks again! Thank you for the job you completed for us recently. 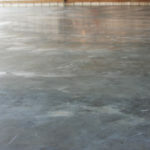 We are very happy with your work and the concrete area is exactly what we were hoping for. We will be telling everyone how happy we are with your work and recommending you for future work amongst our family and friends. Thank you very much for your excellent service. It has been a pleasure dealing with you. I have been over for a quick look and it looks great. Michael is looking forward to seeing it – we are going over this weekend. We really appreciated the photos and the updates since we were not able to be there during the week.